Local producer, music lover and friend Tim Gray sadly passed away last year. 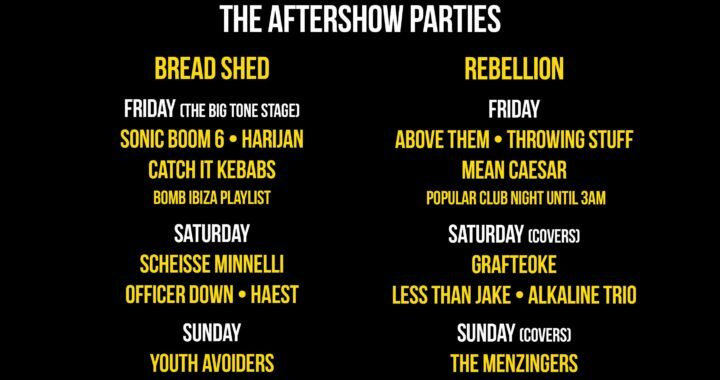 We wanted to pay tribute by hosting an after party for him with a few bands he loved. He had a huge influence on a lot of North West bands and early TNSrecords releases so we felt it was only right to pay our respects in this way, named after his recording studio Big Tone Studios. 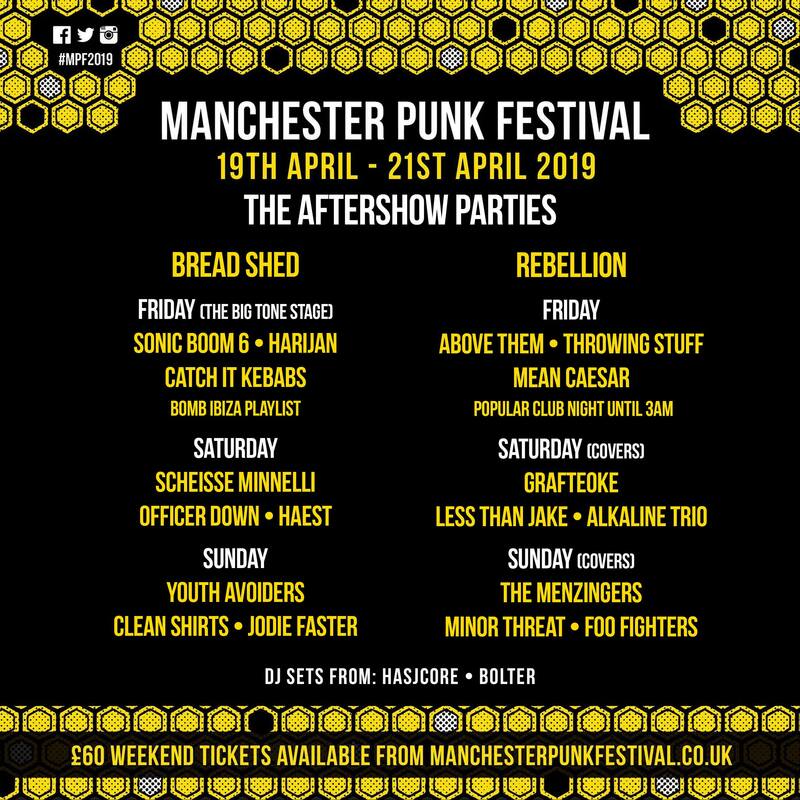 The Bread Shed will host the Big Tone (Tim G tribute) after party with Sonic Boom Six, the return of Harijan and Catch It Kebabs as well as being the home of Scheisse Minnelli, Officer Down, Haest, Youth Avoiders, Clean Shirts and Jodie Faster for the weekend.